All the parts are designed and tailor made from high quality material which is not harmful to skin and is comfortable to wear. 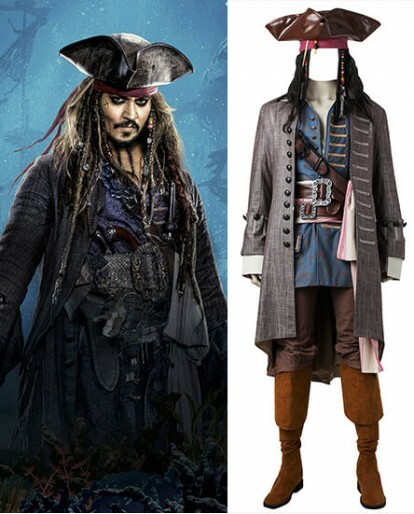 If you are a fan of movie Pirates of the Caribbean, why not come and have a try of this Pirates of the Caribbean cosplay costume? And it's suitable to wear our cosplay costumes at any festival whatever you like.